These days we had our flagship conference at ZEW: the 5th Annual SEEK Conference. This event is particularly interesting because it brings together high-level policy makers such as Mario Monti (former Prime Minister of Italy, now President of Bocconi University) or Peter Praet (Chief Economist of the ECB) with renowned academics like, among others, Ufuk Akcigit (University of Chicago), Tommaso Valletti (Imperial College London) or James Bessen (Boston University). This year’s topics were innovation, entrepreneurship, and competition policy and how they can contribute to sustained growth. On the first day we saw a thought-provoking debate about venture capital funding and the adequacy of different national innovation systems. Andreas von Bechtolsheim, probably best-known for being co-founder of Sun Microsystems, provided the opening statement. His argument was that an entrepreneur that has big plans for his business and that is focussed on growth cannot avoid to go to the US. There, especially in the big clusters like the Silicon Valley, you simply have better conditions to find investors. In addition, the US, with their large home-market, provide ideal conditions to grow quickly. It’s the lack of these two factors, a large homogeneous market and the supply of venture capital (VC), that makes Europe relatively unattractive to ambitious entrepreneurs. On the other side of the table sat Franz Fehrenbach, chairman of the supervisory board of Robert Bosch GmbH, a German multinational engineering and electronics company. He argued that although the European, and specifically the German, system is very different to the American, it’s not less suitable to generate world class innovative solutions. Bosch, a market leader in many segments, provides the best example. They set up their own corporate venture capital fund which seeks to identify pathbreaking new ideas and to help entrepreneurs to develop their business. Eventually, Bosch incorporates them in their existing organizational structure to create value for the company. 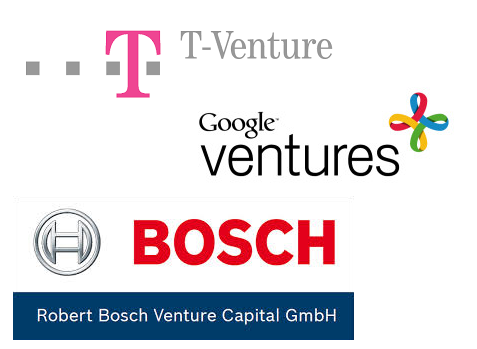 On top, Bosch also reorganized their internal allocation of R&D funds in the style of the venture capital funds model. You hear this type of argument quite often in Germany. For various reasons we don’t have a developed VC landscape. The financial market is much more bank-based, the predominant form of investments is debt rather than equity, and VC funds lack good exit strategies for their investment because going public with a company is less common. But the competitive German manufacturing sector with its resource-abundant large players as well as strong medium-sized hidden champions (the Mittelstand) could fill this gap, the argument goes. These firms are already very innovative and very competitive in their particular business models. So we don’t need so many new entrants. The incumbent firms are already investing heavily in new technologies and productivity gains. Corporate venturing is a way of making this process even more efficient and the resulting new solutions and business models could then be added profitably to the existing corporations, by that making use of already existing distribution networks, building on an existing customer base and established brands. I’m a bit more skeptical here. Corporate ventures might be able to enhance incremental innovation that build upon an existing business model of the parent firm. But they are less suitable for drastically reforming the technological base of an economy. In my opinion, Ufuk Akcigit’s talk on day two of the SEEK conference, with its focus on New Schumpeterian Growth Models settled the debate. The models he presented emphasize the role of creative destruction for economic growth. New entrants with new ideas need to come to an industry and challenge the business model of established incumbents. The resulting competition of ideas and solutions creates a positive selection of firms and a reallocation of scarce resources to more productive uses. If incumbents remain unchallenged by new competitors for too long, selection cannot take place. Firms might still improve their existing products in an incremental way. Corporate venturing might be a suitable tool to achieve that. But you cannot expect a firm like Bosch to radically challenge their existing business model and thereby undermine their current profit base. The same holds for entrepreneurs. They might find a prosperous incumbent willing to invest in their idea as long as this idea doesn’t pose too large of a threat for the investor. If you instead plan to disrupt a whole sector you either need to have the necessary resources yourself (e.g., like Google) or you need to resort to an independent venture capital market. Even young dogs with new tricks learn quickly not to bite the hand of their owner.